Comoros Football Association has responded to Football Association of Malawi President, Walter Nyamilandu tweeter post, which claimed that Comoros did not field local players against Flames, but rather a collection of France players. Comoros FA tweeter response came on Sunday, 18 November, 2018, after Nyamilandu posted his just after the defeat to the Comorians in group B Africa Cup of Nations qualifier. 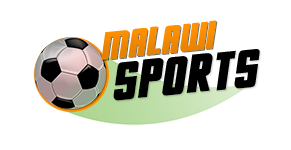 The post clarified the matter brought across by the Malawi FA boss and called his tweet ‘pathetic’. “The problem is that it is not a naturalization but dual nationality players born abroad of Comorian parents. Where is the problem? His tweet is just pathetic,” the statement read. Nyamilandu’s post seems to have come out fury after Flames’ defeat which only means they have now bowed out of contention for next year’s continental showdown in Cameroon.